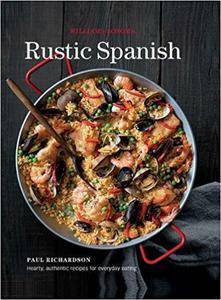 Featuring more than 100 easy-to-follow and delicious recipes, this book delivers authentic Spanish cuisine to home cooks everywhere! Love the delicious, made-for-sharing native cuisine of Spain? Rustic Spanish presents a robust collection of authentic Spanish dishes, including both traditional favorites and contemporary fare, along with suggested wine pairings and ingredient guides. Six comprehensive chapters are filled with a diverse range of beloved Spanish fare, and accompanied by beautiful and descriptive full-color photographs and illustrations.